If your business has a website (and let’s face it, who doesn’t these days? ), it’s really important to make sure people – and search engines – actually see it. The motto “If you build it, they will come” doesn’t work here. You need to promote your small business website to make it work for you. And work for you it does: A well-built, optimised and, most of all, visible website improves your brand awareness, generates new business and helps you reach a wider audience… but only if people know it’s there! 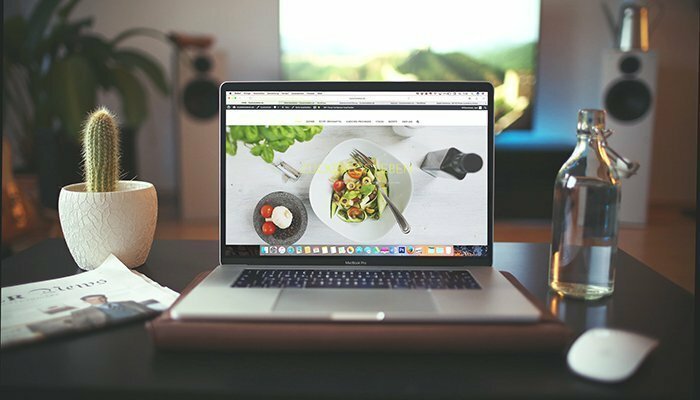 Whether you run a large e-commerce site or use your website to show off your portfolio, here are some of my favourite ways to promote your small business website. A lot of small business consider a website a one-off task, like an entry in the Yellow Pages that you set up and then forget about. But a website that doesn’t get traffic is like an empty shop, especially if it’s new. A website doesn’t help you grow your small business by simply having it. You need to get people to come in, look around and find out what you’re selling. Then you want them to come back, to buy from you and to tell their friends all about you. Also, having a shop with people entering and leaving happily with their shopping gets more attention from other potential customers – and the same applies to the digital world (and search engines). So, don’t dismiss or ignore your website. Make the investment worth it and add it to your on- and offline marketing activities! I couldn’t talk about how to promote your small business website without mentioning SEO. Search engine optimisation is key if you want people to discover your website through search. The higher you rank in Google, the more likely people will be to visit your website when they’re searching for something you offer. SEO goes much further than just keywords, so if you’re looking to promote your small business website, it’s well worth reading up on SEO essentials – or hiring an SEO expert to help you out. Find out more about how to get started with your small business SEO. Another great way to promote your small business website is through social media. You already have an audience there who are interested in your business. Make it as easy as possible for them to take the next step and visit your website. Some of your followers might not even know you have a website, unless you tell them about it! So make sure each of your social media profiles include links to your website, and add in links to your social media posts regularly. For example, if you’re talking about a particular service you offer, pop in a link to the services page on your website. Encouraging people to shop your online sale? Link to the sale category on your website. Make it as easy as possible for your followers to find what they’re looking for, so include direct links where possible rather than just linking to your homepage. A blog is a fantastic way to drive traffic, so it’s a really simple and effective way to promote your small business website. Not only does it help with SEO (Google loves websites that add new content regularly, plus you can include relevant keywords in each blog post), it will also bring interested readers to your website. An informative blog will keep people coming back to your website time and time again – whether they’ve bookmarked your blog to read regularly, or they’ve stumbled across your small business website in Google. People who read your blog posts are likely to be interested in your wider business too, so always include links to other parts of your website in your blog posts. For example, add a link to your portfolio page if you’re writing a blog post about work you’ve previously done. Newsletters are another great way to promote your small business website. They work in a similar way to social media – you already have a captive audience there, so make the most of it and encourage them to visit your website. If you haven’t got a newsletter set up yet, start one now! Newsletters are particularly useful for e-commerce small businesses, because you can send out details of offers, discounts and pre-sales to existing customers to encourage them to shop online with you again. Even if you don’t sell directly through your website, it’s still really important to promote your website through your mailing list. Read more about building a mailing list and what you need to know about GDPR. It might sound obvious, but if you want to promote your small business website, you need to include it in all your marketing materials. Whether it’s as big as a radio advert or as small as a flyer, always include your website URL to make sure people can easily find your website. And don’t forget to add your website address to things like your email signature, business cards, letterheads and any promotional marketing materials you’re using.